Ex Jimmy Hayes Collection, Stacks, October 1985, lot 34, where it was described: “Gem Brilliant Uncirculated. A pristine example, full frosty mint bloom, and exceptionally beautiful light sea-green and iridescent toning. 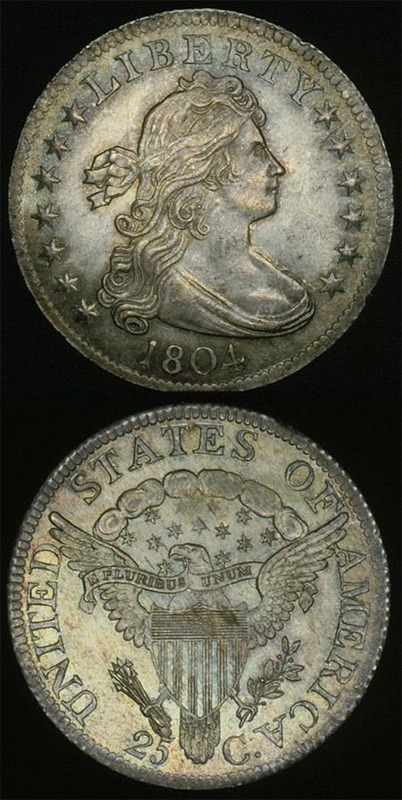 The coin is as sharply struck as any we’ve ever seen. We must agree with Lester Merkin in calling this specimen “The Finest Known.” A great rarity from any point of view and one destined to set a new record.” (it brought $57,750 at the Hayes Sale). Ex. Lester Merkin, lot 768, October, 1972. How many nickels laid end to end would it take to make a mile?